I love seafood, having grown up surrounded by it in New York. I particularly love oysters, clams and other shell-fish (mussels) which thankfully I can still eat on my post-angioplasty diet. Chicago’s Pearl Tavern is a must-go place for anyone who loves the types of seafood I just described. The setting might be upscale bar, the space used to be long-time Chicago Irish bar Coogan’s and relatively little has changed, layout-wise (we were seated in the main bar room unfortunately, not one of the quieter side rooms), but the oysters, etc. are East (and West, they have both) Coast delicious. A full meal for my wife and I recently set her back (she treated) over $150, including wine. So be prepared to pay for the great tastes. My incredible oyster plate at Pearl Tavern. 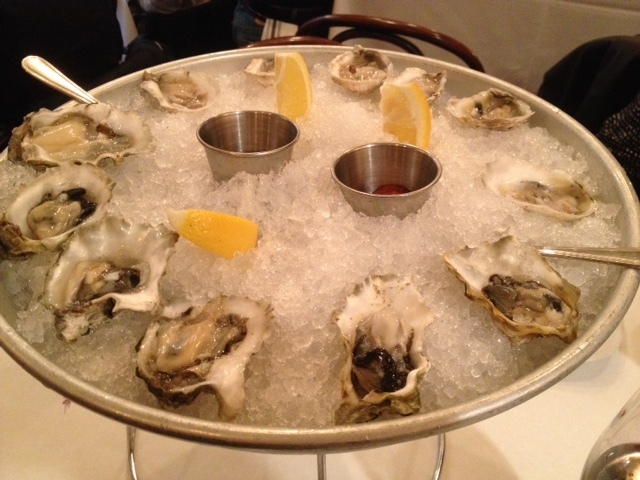 I started with a dozen oysters, six East and six West Coast. A small chalk board on the table lists the varieties available each night. Each was fabulous, smooth and just dreamy, the way an oyster should taste. I next tried a squid special, with squid made in a honey glaze. The dish was the best squid I’ve had in the States, topped only by a heaven-sent squid dish I ate in Italy a few years ago. 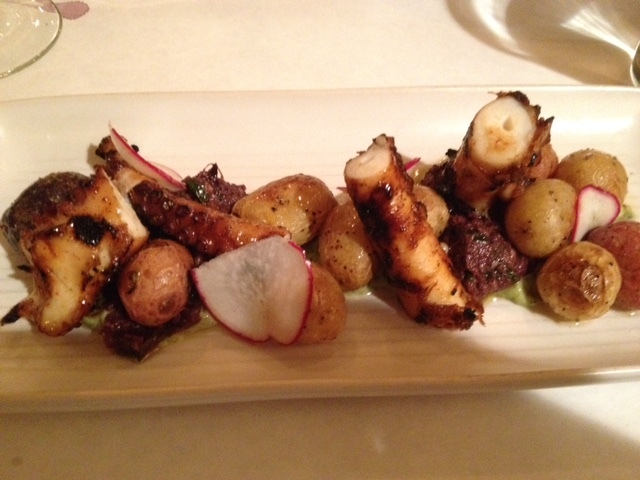 Squid in a honey glaze at Pearl Tavern. Perfectly cooked scallops at Pearl, for those who can’t handle the raw seafood. My wife and I also split a delicate beet salad. Beet salads are all the rage these days, this one was good, but the seafood is the star at this place. 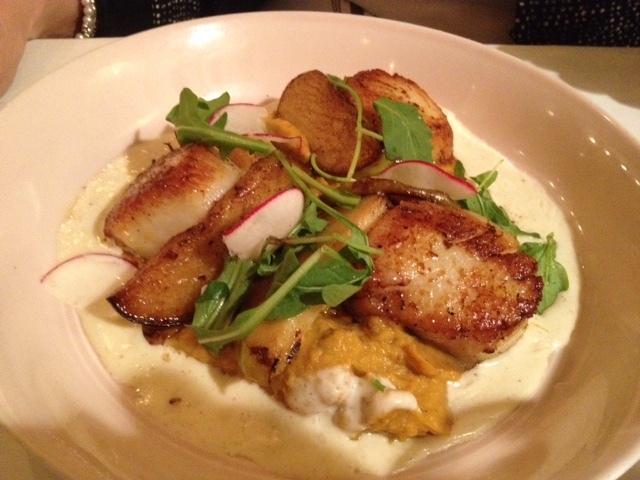 My wife ordered scallops with butternut squash puree, charred apple and Ginger Beurre Blanc. The scallops were cooked perfectly. Any contestant on Hell’s Kitchen would be green with envy about just how perfectly they were made. All in all, it was a dream meal, made all the more fun by meeting our waitress Tara, who also is an aspiring actor with the Foundling Theater. Say hi and go see their latest show. But first try the amazing seafood at the Pearl. Its National Salt Awareness Week – tips to shake the habit from Dietwise…. McDonald’s chicken recipe is getting simplified; Bravo!